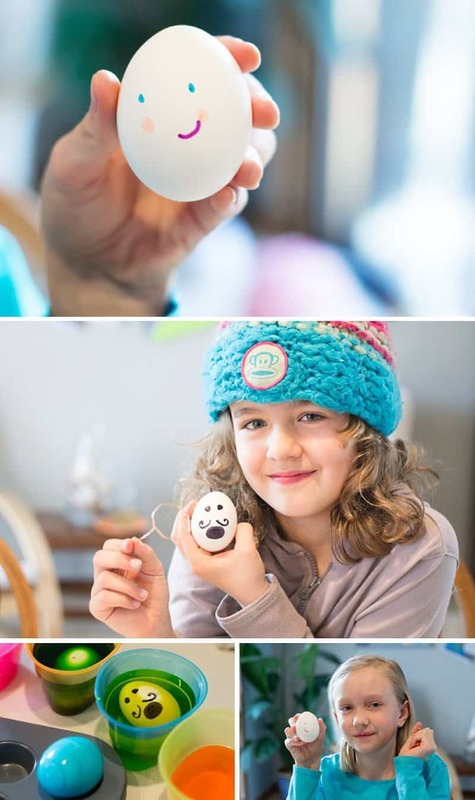 There are so many fun ways to decorate Easter eggs. Below are thirty creative ways to play this spring. This year, we pulled out the Sharpies and used the markers to decorate the hard boiled eggs before dying them. We use our 80’s Glam Fine-Tip Permanent Marker (24-Pack Assorted Colors) for art projects around the house all the time. Love ’em. We started out with adding patterns and text messages to the eggs, but in the end the girls had the most fun creating silly faces. Check out some of my favorite egg decorating finds from around web…. When you decorate Easter eggs, I’d love to see photos! Share them with me on Instagram by tagging @letslassothemoon or post them on our Facebook page’s wall.